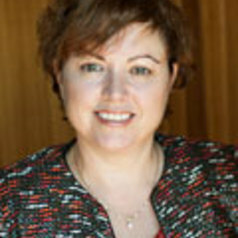 Prior to her appointment at USQ, Professor Thomas was Deputy Vice-Chancellor at the University of Notre Dame in Western Australia. At Notre Dame Professor Thomas led the Fremantle campus of the University and had University-wide responsibility for research and quality assurance across campuses in Sydney, Fremantle and Broome. Professor Thomas also had a long and distinguished academic career at Murdoch University, where she was Deputy Vice-Chancellor (Academic) with responsibility for Indigenous education, academic policy, academic planning, student support, student services, student recruitment, liaison and administration, library services, social justice, quality assurance, flexible delivery and staff development and organisational capability. Most recently Professor Thomas has been a member of an expert advisory group to the Department of Education, Employment and Workplace Relations whose focus was on developing higher education performance indicators in association with the Commonwealth government. Professor Thomas has been an auditor for the Australian Universities Quality Agency (AUQA) and an international reviewer for accrediting agencies in Oman and Hong Kong. She is a Fellow of the Australian Institute of Company Directors and has spent ten years as a Director and Member of the Board of Governance for Western Australia’s MercyCare, a large community and human services organisation. In addition to her extensive organisational leadership Professor Thomas has an international reputation in her own academic background in veterinary and biomedical sciences.